Tired of the same old crossword clues? Want to put some spice into your solving? 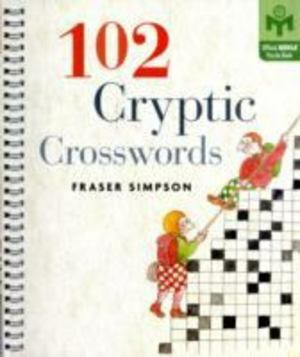 Then try this follow-up to the popular 101 Cryptic Crosswords, from former puzzle editor of The New Yorker Fraser Simpson. Unlike conventional crosswords, these quirky puzzles use clues that combine straightforward definitions with clever wordplay. For example, "Hit friends back” is the clue for SLAP, which means "hit” but is also PALS reversed ("friends back”). You’ll also encounter homophones, hidden words, charades, deletions, pig Latin, and more. These mind-twisting puzzles are sure to give you hours of head-scratching, pencil-chewing fun.